6.79 points at 19 votes (rank 409). 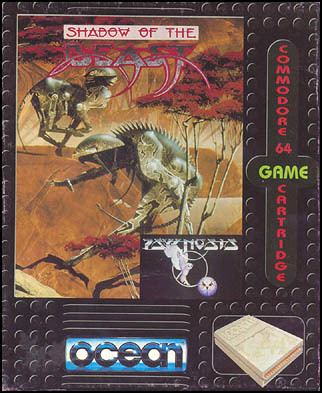 The C64 version is a conversion of the Amiga game which was mainly famous due to its graphical qualities (see section "Links" for Longplay). The game's protagonist was kidnapped by the evil "Beast" as a young boy and grew up in the care of its wizards, who treated him with several herbs and potions until he looked goat-like. As the boy got aware of this later and of the fact that his parents were killed by the beast, he escapes the wizards and goes out to take a bloody revenge on the (other) Beast. Graphically, the programmers tried hard, but could only fail in trying to even roughly reach the original. 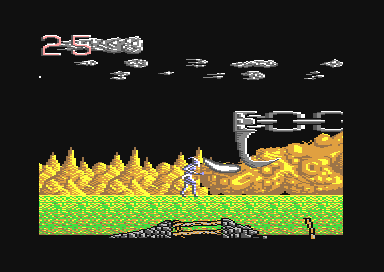 The graphics are boldly pixelled, but in return the hero and the enemies are displayed nicely and big and the beautiful parallax scrolling pleases the observer's eye. If the hero does not move, he is hard to distinguish from the background, this becomes especially apparent at the beginning in the well. Concerning the gameplay it is strange that the enemies seem to flee from the player especially at the beginning and it is difficult to catch them again. Concerning the sound the well composed and converted melodies enchant the ear and are luckily not interrupted by sound effects. As the disk version loads very often, the cartridge version should be preferred. 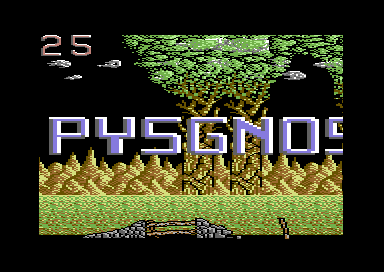 In the intro you can see very cleary the wrong written name "PYSGNOSIS" (see above). A drop (no matter from what height) does not cause any damage. There is no time limit, you can calmly think about your tactic. Healing potions are often hidden in rocks, stones or chests. An energy gate can be switched off by shortcuting a generator with the help of a piece of metal. Certain end bosses cannot be defeated without the right items. There are different solutions and maps available on c64games.de. Rockford: "Not my genre. There is not much left from the nice Amiga graphics and the rest has rough competition. The C64 version also has its fans, but for me this looks suspiciously like 'Who can just quickly convert this?'. Except for the music, which tootles around in a rather high league." 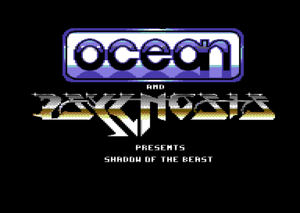 mombasajoe: "The C64 conversion of an Amiga graphics potemkin with rather weak gameplay. I agree: This is not my cup of tea." TheRyk: "Parallax scrolling and music are perfectly done, nothing to complain about the graphics either. 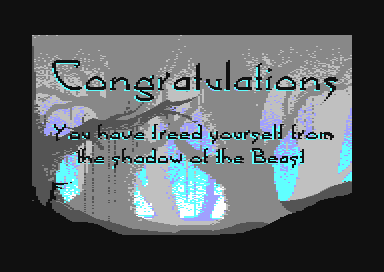 But alas, the game... consists only of running, running, running... occasionally jumping or fighting or solving one of the boring quests, which are rather annoying; for example I am sent into a dark castle just to get out again to get a torchlight placed 10m away from the entrance, every in and out leads to endless loading of level data, yay... Freely hinting at it's being a conversion in the scroll text makes it hard to love this rather lovelessly produced software, especially if you consider the price. It's playable, but most gamers will find it kind of boring, 4 points." Shadow of the Beast Longplay part 1/3 by "laffer35"
This page was last modified on 20 July 2017, at 12:49.